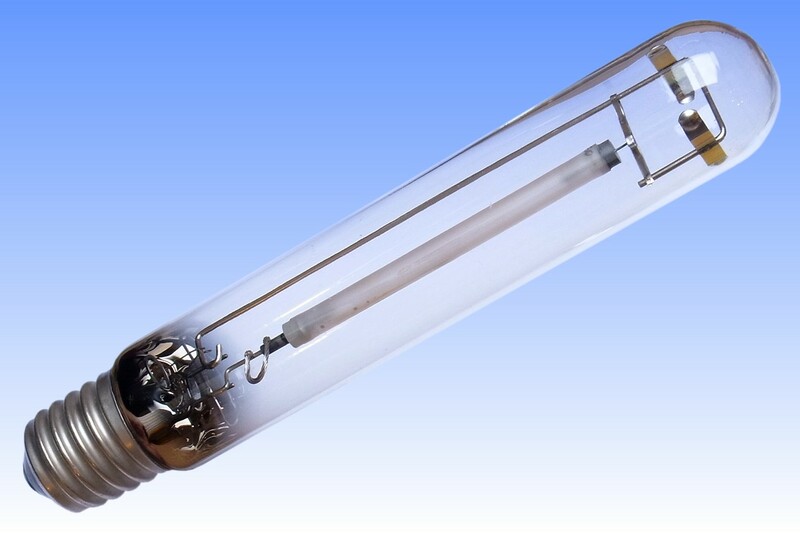 Despite its small size, Thorn quickly became a world leader in HPS technology - perhaps facilitated by the fact that its Leicester site was the only place in the world engaged in the development and manufacture of not only the HPS lamp itself, but also the ceramic materials for its arc tube. 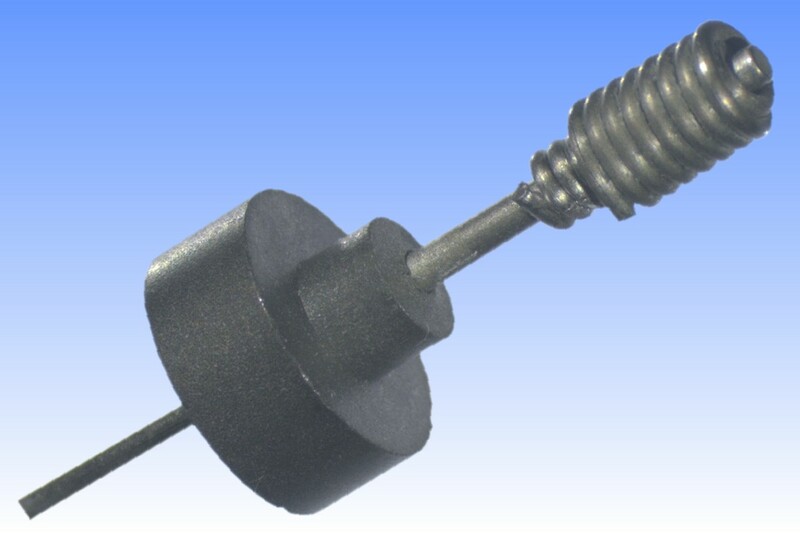 This lamp represents a particularly novel idea, employing a Cermet seal in which the usual metallic conductors have been replace with an electrically conductive CERamic-METal composite. 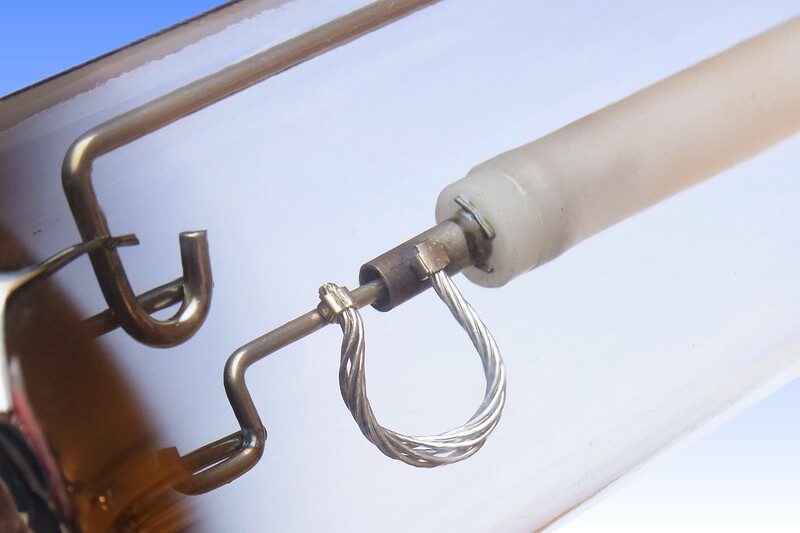 The technology was borrowed from Thorn's equally pioneering development of the world's first ceramic metal halide lamp, for which this new seal was necessary for reasons of its chemical corrosion resistance, but it was soon recognised that it could also benefit the HPS lamp. One of the arc tube seals is made to a slug of molybdenum-alumina ceramic, into which the tungsten electrode shank and molybdenum leadwire have been co-sintered. 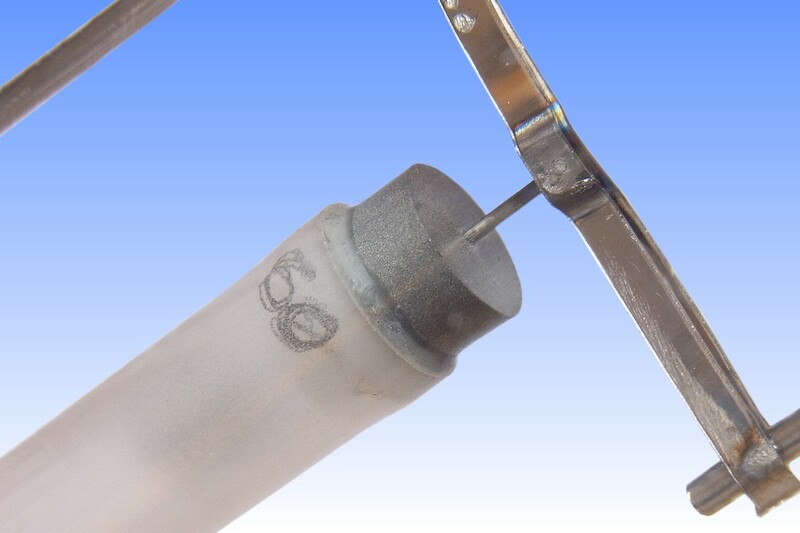 The arc tube is made from Thorn's Stellox alumina ceramic, and is sealed to the cermet plug with Thorn's C-3 frit glass. 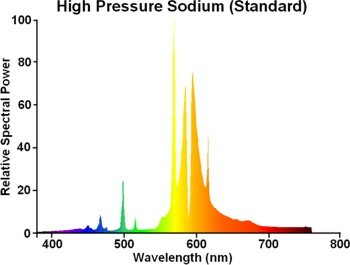 One advantage is that there is reduced exposure of this glass to the inside of the arc tube, and the glass temperature is reduced, thereby slowing the rate of sodium loss and increasing life. Unfortunately the cermet seal could only be applied at one end, and a conventional niobium tube seal is present at the other. 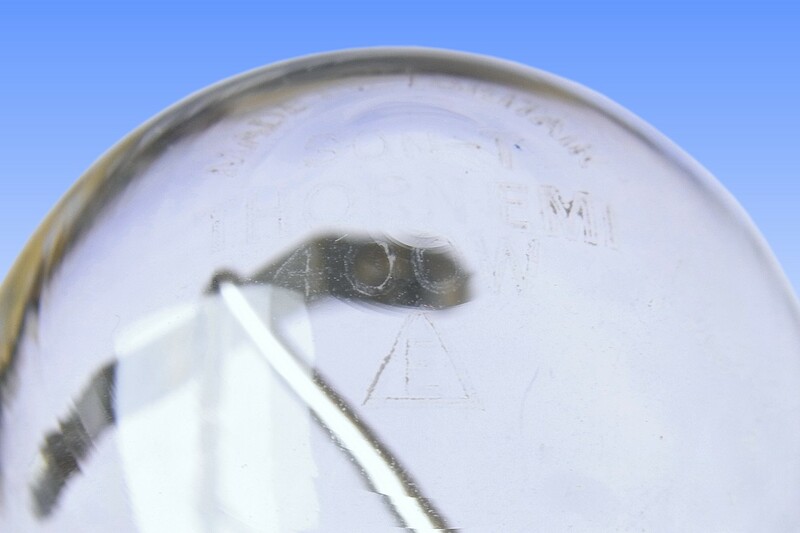 The reason is that niobium is porous to hydrogen, a contaminant that leads to difficult ignition and reduced lamp life, and whereas in conventional lamps this can diffuse through the seals and be captured by a getter in the outer bulb, it would be trapped in a cermet lamp. It took several years before Thorn overcame this problem, and launched its first first full-cermet SON lamp in 1991. Manufacturer: Thorn Electrical & Musical Industries Ltd.
References: 1) Private Communication with Leicester lamp engineers D.O. Wharmby, E.C. Odell, K.E. Parker, D.T. Evans, D.P. Hurst, B. Preston, I. Laher, 1998.